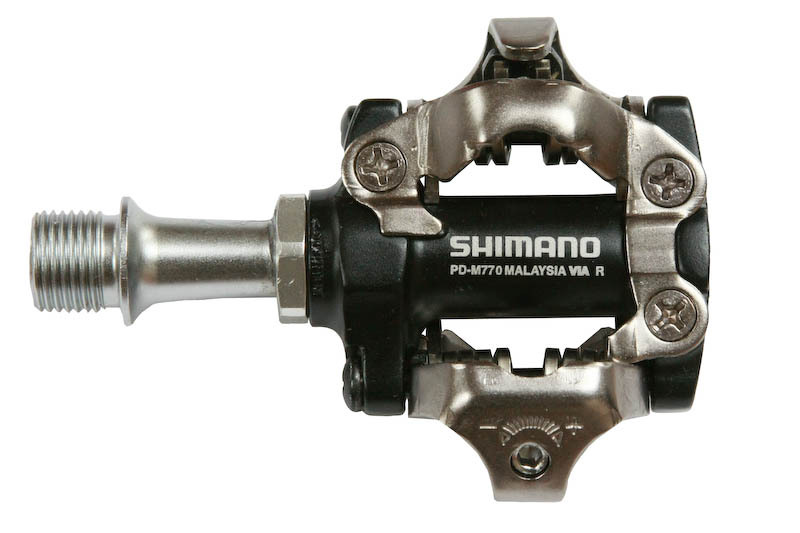 Shimano Deore XT M780 Clipless SPD Mountain Pedals. At the races you will find SPD pedals on many of the competition’s bicycles. The SPD pedal offers predictable step in engagement and release in all riding conditions as well as an adjustable release tension so you can fine tune your pedals to match your preferred riding style. These pedals install with an 8mm hex wrench. Included are one pair of SM-SH51 (black) cleats offering 4 degrees of float. 352 grams.